Fast ForWord Reading Level 3 has three themes: reading comprehension, reading fluency and reading fundamentals such as spelling and syntax. Fast ForWord Reading Level 3 consists of six exercises. After reading a paragraph, the student answers multiple choice questions. 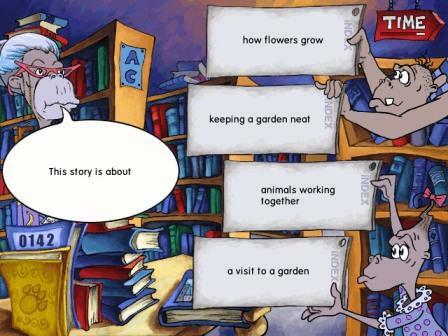 The exercise builds literal and inferential reading comprehension. 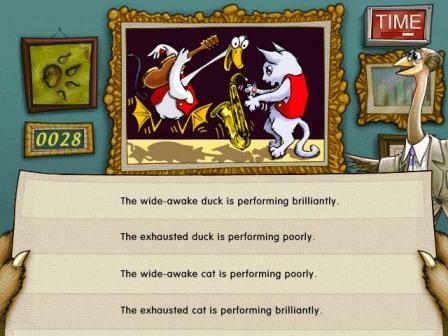 The object is to match synonyms, antonyms, rhymes or homophones. If the student clicks two matching bricks in succession, the two bricks disappear. 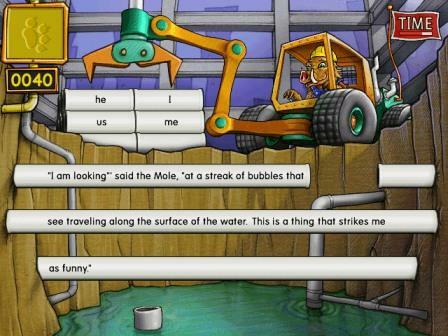 This exercise helps vocabulary, spelling and high frequency word recognition. A hot dog is presented with an incomplete target word displayed on it. The target word is then pronounced. The student must click on the correct missing letters. 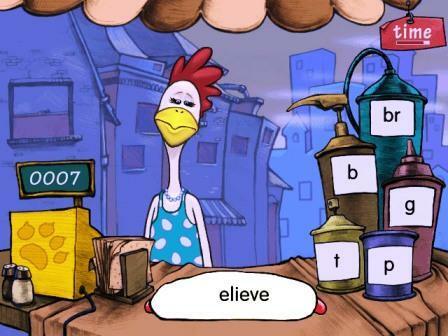 Chicken Dog works on spelling rules, as well as helping high frequency word recognition. 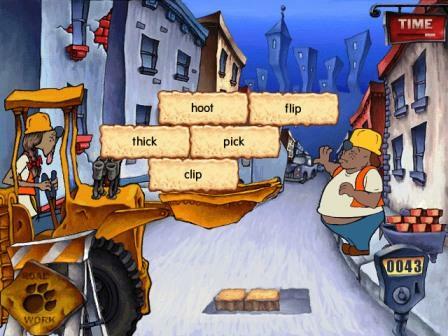 The student helps a construction crew fill in the missing pieces by selecting the most appropriate words to fill in the blanks using paragraphs taken from classic literature. This demanding reading comprehension exercise strengthens higher level critical thinking skills and knowledge of language structure. 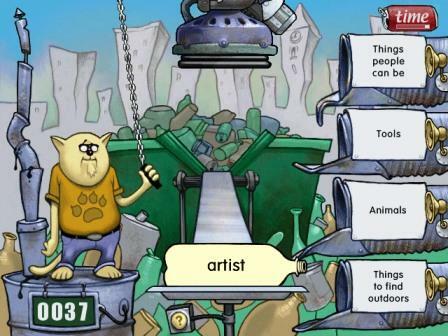 The student helps Scrap Cat recycle the bottles and cans by sorting the words into their appropriate categories. This is an analytical task, sorting words into linguistic and semantic categories, which has been patented by Fast ForWord as a way to build critical thinking skills. The student must pick the sentence (of four) that best describes the picture presented. This requires analytical thinking and develops a high level of syntactic complexity. Prior to Fast ForWord Reading Level 3, younger students will have completed Fast ForWord Reading Level 2. After Reading Level 3, some students will move to Fast ForWord Reading Level 4.